I have once defined User agents as a computer system’s application that remotely accesses another computer or server via a network. All browsers have their user agents. When you are accessing a web page on the internet, different browsers may interpret/display the web page differently as a result of the difference in their user agents. The user agent of Firefox is different from that of Google Chrome. Now assuming you are surfing the web on Google Chrome and really want the site displayed the same way it will display on Firefox or blackberry on your Google Chrome, how do you switch the user agents in your Google Chrome? Not many are aware that Google chrome browser has inbuilt user agents. Today I am going to show you how to use Google Chrome’s built-in User-Agent Switcher. 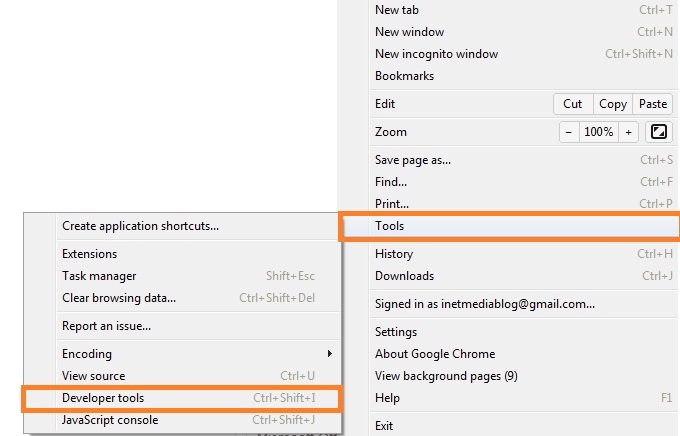 Launch your Google Chrome browser and navigate to the Developers Tools by clicking on the Wrench icon>Tools>Developer Tools or simply using the shortcut ( CTRL + SHIFT + I). Click on settings as illustrated on the image below. In the settings window, tick the “Override User Agent” option under the “Network” column. Choose the User Agent of your choice from below it. Close the Developer tools and reload your webpage. Now you can easily view the mobile version of any website on your web browser without having to use your mobile phones. You can even browse like an iPad. I hope you like this tutorial. Please share it with your friends. You can also use the comment box below to share your contributions about this blog post. Click here to Subscribe to NetMediaBlog Feeds by Email.